Streets should be designed for the safety of all users, with special attention necessary for pedestrians and cyclists. Cities should require that highly automated vehicles be programmed for safe, slow speeds on city streets, with mandatory yielding to people outside of vehicles. Maximum vehicle operating speeds in city street environments should not exceed 20 mph, or 25 mph in very limited circumstances, with lower speeds in downtown and neighborhood zones. The benefits of autonomous urbanism can only be realized if mobility is made more accessible, convenient, and affordable for the entire city. Cities and their partners should offer flexible and affordable mobility options tailored to the needs of different communities, from walking and biking to fixed transit and ridesharing. With the right policies, autonomous vehicles can move more people in fewer vehicles on less congested streets. That means that cities can use space more wisely. Instead of planning for roadway expansion, reallocate street space to active, sustainable modes and use technology to manage the public realm dynamically. New technology makes real-time, proactive street management feasible. Cities must leverage this opportunity to revolutionize the services they provide and the ways they capture revenue. Real-time right-of-way management and vehicle occupancy pricing mechanisms will allow cities to incentivize shared and active modes over private automobile trips, while reapportioning vehicle space as public space. As technology is embedded in urban transportation, vehicles can assume maximum rider occupancy, creating an interconnected network of mobility supply and demand whether for freight or passengers. Transit agencies will need to adapt to new consumer expectations and reshape their services to ensure seamless connections with other modes. 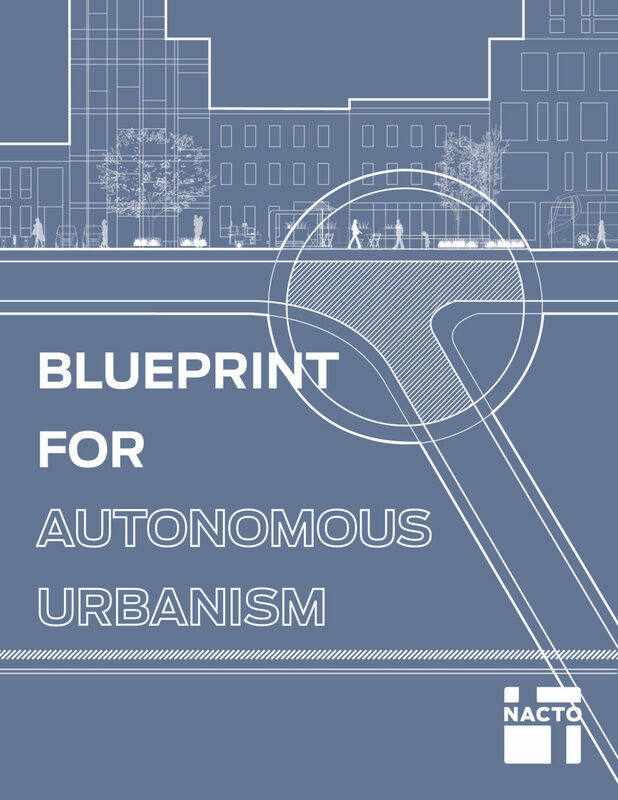 Autonomous urbanism should foster balanced collaboration with the private sector that maximizes public benefit. Smart governance ensures that these partnerships are neither unconditional endorsements nor punitive prohibitions, but are instead guided by set criteria and clear, measurable and adaptive policy goals.